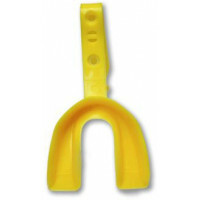 Young athletes prefer this design, ergonomically shaped for the size and contours of a youth's mouth. The flexible material is comfortable for talking and breathing, and is custom fit at below boiling temperature to protect sensitive mouths. $100 per tooth dental injury warranty. 10-second custom fit. Color: maroon, red, orange, yellow, green, blue, purple, black, or clear. All one color. 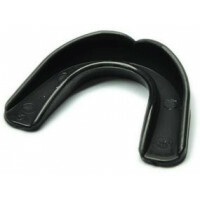 Young athletes prefer this design, ergonomically shaped for the size and contours of a youth's mouth. The flexible material is comfortable for talking and breathing, and is custom fit at below boiling temperature to protect sensitive mouths. 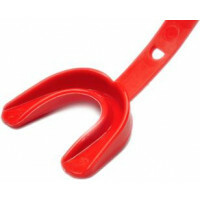 MG160 features one-piece quick release helmet strap. $100 per tooth dental injury warranty. 10-second custom fit. Custom fit in 30 seconds. $100 per tooth dental injury warranty. Color: maroon, red, orange, yellow, green, blue, purple, black, dark navy, pink, or clear. All one color. 35-second custom fit, one-piece quick release strap. 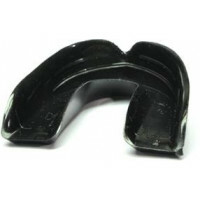 $100 per tooth dental injury warranty.